NEW YORK -- The following news release from WABC-TV details the station's performance in the November, 2017 ratings period. NEW YORK, Nov 27th, 2017 - WABC-TV extended its run as the most watched TV station in the market and the country, according to the November 2017 Nielsen audience measurement period. The flagship station captured a 3.1 rating/8 share in DMA Households, Monday-Sunday Sign-On to Sign-Off, in the country's most populous market. With each rating point representing 70,748 Tri-State area TV households, ABC7 attracts a larger audience than any other television station in the nation. ABC7 is also "most-liked" in the Tri-State area on social media, ranking #1 among broadcast television stations in Facebook Likes, Twitter followers and Instagram followers. WABC-TV began the sweep period with its annual presentation of the TCS New York City Marathon - New York's biggest sporting event - on November 5th. In partnership with ESPN, WABC-TV's coverage reached more than 1 million viewers locally and averaged 348,000 viewers per quarter-hour during the race coverage. ABC7NY also had more than 160,000 live stream starts and more than 1.5 million page views across its digital platforms on race day. Channel 7's marathon pre-race coverage that morning averaged 264,000 viewers, and its "Countdown to the Starting Line" special attracted 175,000 viewers. Channel 7 kicked off its marathon coverage by airing the Opening Ceremony on the Friday night before the big race as 241,000 viewers tuned in. WABC-TV's coverage also reached millions of people via social media and tweets from around the world, making it a truly global success. On November 7th, WABC-TV led its competitors on Election Night while covering many local races that included the New York City Mayoral race and the New Jersey Gubernatorial campaign. ABC7NY also had 1.4M Page Views across its digital platforms and more than 140,000 live streams of its coverage across its website, Facebook and Twitter. WABC was also the only local broadcast station to produce live digital-only special reports across multiple platforms, to reach thousands of additional Tri-State area residents. WABC-TV's daily ratings success begins with the early morning news. The station's "Eyewitness News This Morning" with Ken Rosato, Shirleen Allicot, Bill Evans, and Heather O'Rourke, boasts the highest ratings from 430-5 a.m. among DMA Households and Adults 25-54. At 5am, WABC-TV leads in DMA Households with a 70% advantage and reaches at least twice as many Adults 25-54 as any competitor. At 6:00 a.m., "Eyewitness News This Morning" holds a 69% lead among DMA Households and leads among Adults 25-54 by 71%, greatly improving upon its lead from last year. "Good Morning America" leads the ratings by wide margins in the country's largest market from 7:00 a.m. - 9:00 a.m. It holds a dominant 70% advantage over its closest competitor in DMA Households, and this longtime ABC staple also holds a 40% lead among Adults 25-54 and a 50% lead among Women 25-54. At 9:00 a.m., "LIVE with Kelly and Ryan" remains #1 among DMA Households with a 24% advantage over its closest competitor. This longtime morning staple also attracts twice as many Women 25-54 as its closest competitor and holds an 83% advantage among Women 18-49. The program's annual Halloween show was again a huge success, topping the competition in key demos locally with above-average deliveries, and achieving season-highs nationally among Households and Women 25-54. "LIVE with Kelly and Ryan" is produced by WABC-TV and syndicated nationally. "Eyewitness News at Noon", with David Novarro, Shirleen Allicot and Bill Evans, continues to rank #1 in DMA Households with a 39% advantage. The only one-hour midday local newscast in the market, it also attracts as many Women 25-54 as the combined deliveries of its competitors. ABC's daytime staple "The Chew" continues to win its 1:00 p.m. time period in DMA Households. At 3:00 p.m., ABC veteran "General Hospital" wins its time period among Women 25-54 and Women 18-49. WABC-TV's "Eyewitness News First at 4," with Liz Cho, David Novarro, and Lee Goldberg, attracts 71% more DMA Households than its only local news competitor at 4:00 p.m., and also wins among Women 25-54 and Adults 25-54. The program's demo deliveries are often higher than those of competing newscasts that air at 5:00 p.m. and 6:00 p.m. during time periods with greater viewing levels. "Eyewitness News at 5:00" with Diana Williams, Sade Baderinwa and Lee Goldberg continues to be strong with Adults 25-54, coming in #1 while attracting more viewers than its local news competitors that air at 6:00 p.m. The weekday edition of "Eyewitness News at 6:00" with Bill Ritter, Liz Cho, Lee Goldberg and Ryan Field, holds a 30% advantage in DMA Households and a dominant 63% edge among Adults 25-54. This sweep marks the 165th consecutive ratings survey period that WABC-TV has finished an outright #1 in DMA Households among local M-F 6pm newscasts. "Eyewitness News at 11:00," featuring Bill Ritter, Sade Baderinwa, Lee Goldberg and Ryan Field, continues to rank #1 in DMA Households with a 28% advantage over its closest competitor. The program also holds a solid 55% advantage over its nearest competitor among Adults 25-54. "Eyewitness News" is equally strong on Saturdays and Sundays, where WABC-TV airs more local news than any of its competitors. "Eyewitness News This Morning" with Michelle Charlesworth, Rob Nelson, and Amy Freeze collectively ranks #1 among DMA Households and Adults 25-54 on weekend mornings. On Sunday nights, "Eyewitness News at 11:00," featuring Joe Torres, Sandra Bookman, Laura Behnke, and Jeff Smith, wins handily among DMA Households and Adults 25-54. "Eyewitness News" was the first local 11:00 p.m. newscast to expand to a full hour on the weekends and consistently performs well in that extra time. "World News Tonight with David Muir" leads its network news competitors by wide margins in both DMA Households and Adults 25-54, and boasts year-to-year growth in both areas. In Late Night, ABC's "Jimmy Kimmel Live" is #1 among Adults 25-54, while long-running staple "Nightline" continues to perform well at 12:30 a.m. and boasts year-to-year growth of 21% among DMA Households. WABC-TV's syndicated programs "Jeopardy," and "Wheel of Fortune" continue to dominate their time periods in DMA Households and key demographics, including Adults and Women 25-54. In Prime, ABC-TV introduced new hit "The Good Doctor," to a deep line-up that includes "How to Get Away with Murder," "Modern Family," "The Middle," "Dancing with the Stars," "Shark Tank" and longtime staple "Grey's Anatomy." Locally, ABC7 broadcasts five of the top ten regularly scheduled Primetime programs among Women 25-54. Channel 7's Eyewitness News mobile apps generate millions of monthly impressions. Including abc7ny.com, WABC-TV routinely sees about 30 million monthly page views across all its digital platforms. 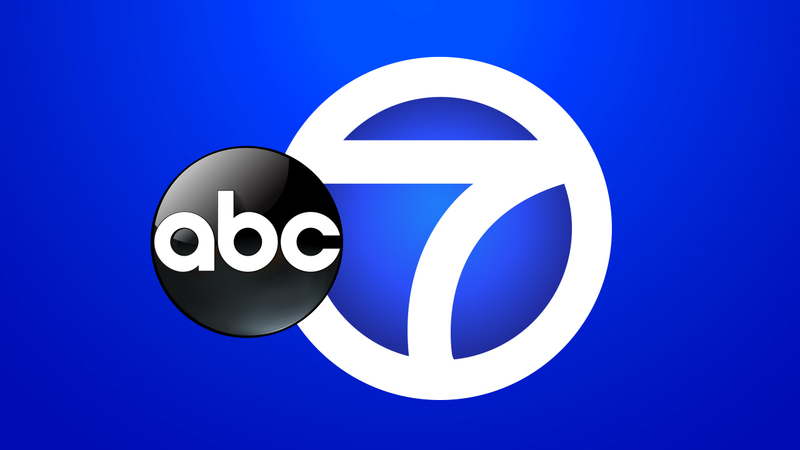 ABC7 also continues to maintain a strong presence among social media and is #1 among local broadcast stations in Facebook Likes, Twitter followers and Instagram followers. The popular ABC app continues to help deliver content to consumers wherever they might be.